Cancer patients and hospital staff provided inspiration for a major public art project at one of Macmillan’s biggest building projects, managed by Willis Newson. From its earliest stages, art was a part of the development of the Sir Robert Ogden Macmillan Centre. The programme integrates art, interior design and landscaping to contribute to the character of the Centre, incorporating nature as a positive resource to enhance health and wellbeing. 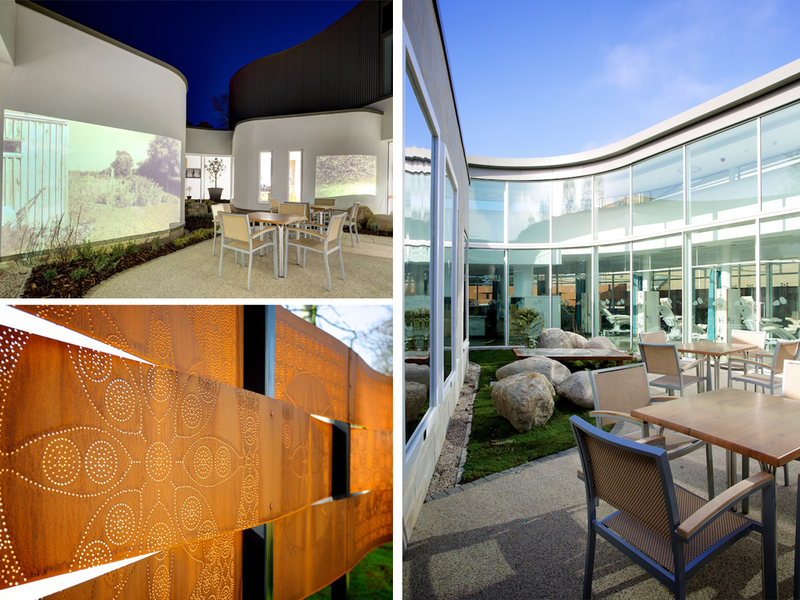 We worked with Macmillan, Harrogate and District NHS Foundation Trust, and architects IBI Group and Fira Landscape architects to deliver the project. “Art helps to create a supportive healing environment for patients. It helps to give a building character and to make it more personal. We know that the natural environment has a restorative value and a positive effect on health, so we’ve tried to blur the boundaries between inside and outside. The final artworks use light and colour throughout the building and surrounding landscape. Using patterns inspired by nature, Jo created a series of perforated metal cylindrical light tubes which border pathways. This design is also incorporated in nine back-lit panels on the external walls of the building, and in the long metal fence. These add light and pattern to the space, bringing natural forms into the built environment. Alongside these, there are projections in the building's courtyard. Jo's aim was to give back a sense of control to patients, as it is their movements which trigger the projections and bring the artwork alive. 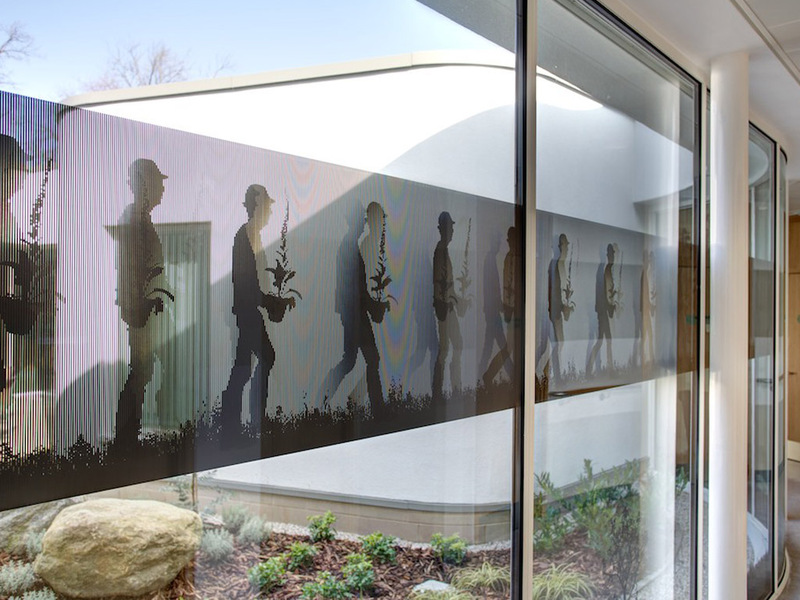 When people walk past animated glazing along one of the corridors, an image of a gardener comes to life and he appears to walk across the window.